UFO SIGHTINGS DAILY: White UFO Tracked By Eyewitnesses Over Brisbane, Australia During The Day, Jan 20, 2018, UFO Sighting News. Here is another report just in from down under. 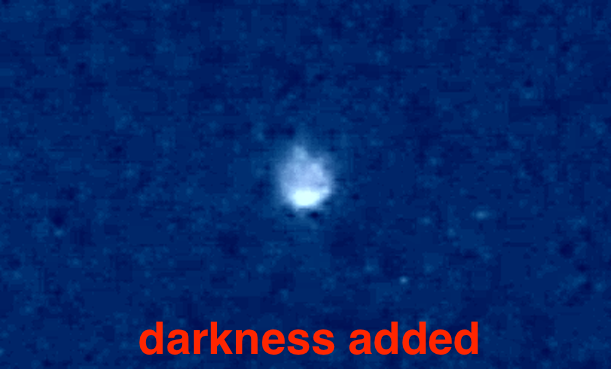 This is a semi-transparent UFO, which means its cloaked, but visible because of the angle of light of the sun and the eyewitness. You can see the bottom of the craft is the brightest, but the sun is above, so this is not a reflection. 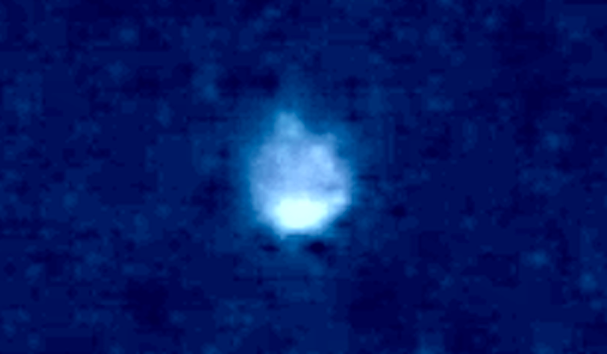 The UFO is whitish blue. Its shaped almost like the Russian space capsule the brings astronauts back to Earth, except for the short arms around its top. 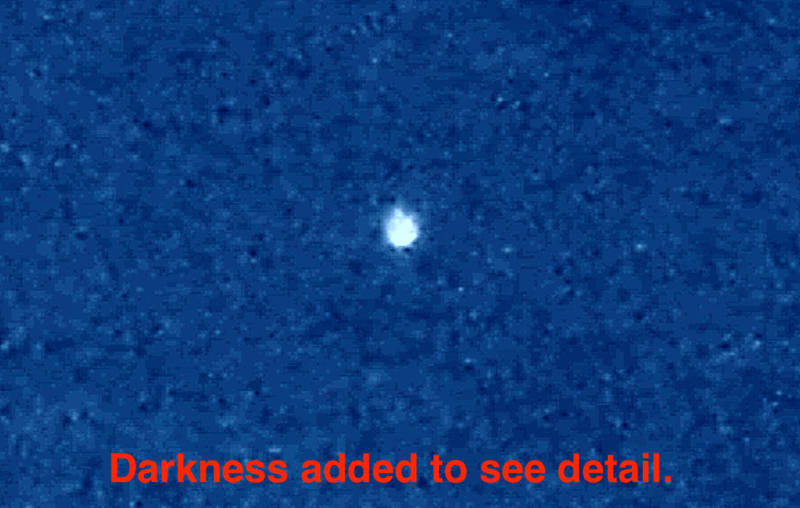 So cool the eyewitness was watching it, yet, the UFO was watching them back. Further past the Ibis I noticed an orb/ball hovering still in the sky that then started to move from south to north - it occasionally slowed to a stop before starting to move again in a reasonaably straight line. It was traveling very slowly and nothing like the plane I saw a few minutes earlier. I asked my wife to keep watch while I went indoors and got my binoculars and digital camera. 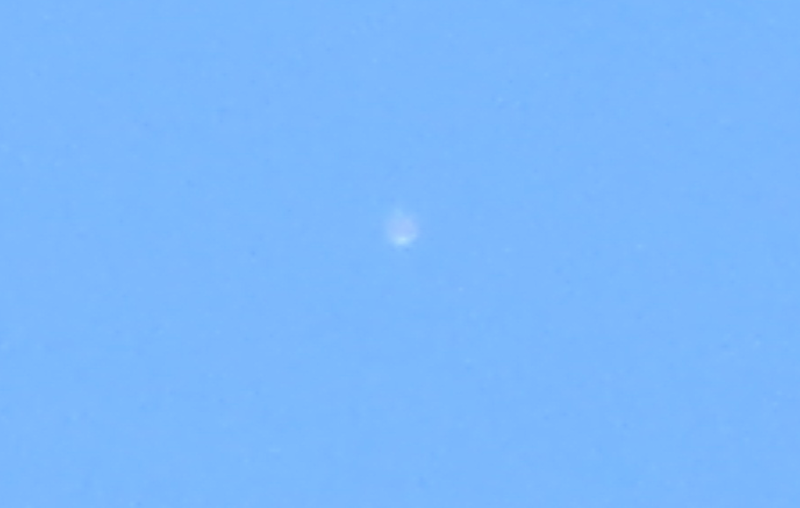 I took some photos on full optical and digital zoom that are not particularly clear due to the distance and reflection off the object. Through the binoculars however I could see that the object was a solid ball but could not ascertain the size as I had nothing to compare it to. I would guess it was maybe 1 meter or so in diameter as it was definitely not as big as an aircraft but larger than the Ibis (they have an average wingspan of 110 - 123cm). Eventually the object moved in a large arc to the west before going behind a cloud. The cloud dissipated and the object was gone - I had been watching the whole time and it did not re-appear from the cloud but just vanished. 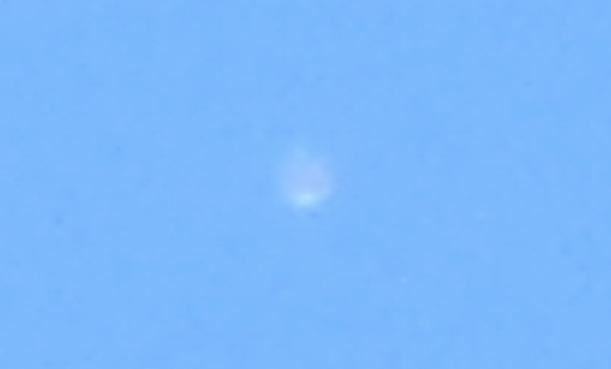 I initially thought it may have been a satellite as I had observed them before but when it changed direction and came to a stand still I ruled that out (though I am no expert on satellites and their movement).